Flock is a social browser built on top of Firefox, if you are a social media junkie you already know this. 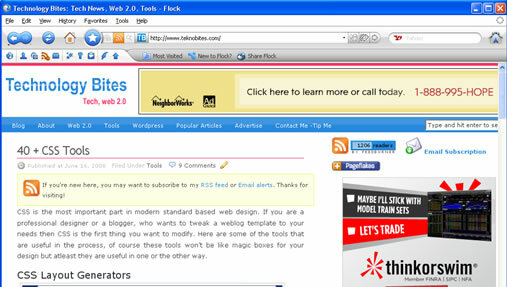 Now Flock has released a new version Flock 2.0 beta based on Firefox 3. Flock 2 beta now includes Firefox 3 memory and security enhancements and other improvements of Firefox 3. It also includes that ugly useless bar dubbed as “Awesome Bar”. This is a beta software so Flock advises you to backup your bookmarks, passwords and feeds before installing this version.